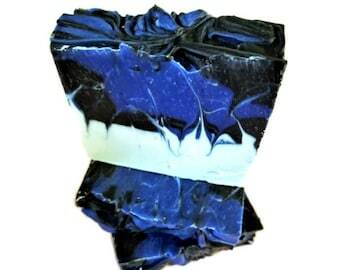 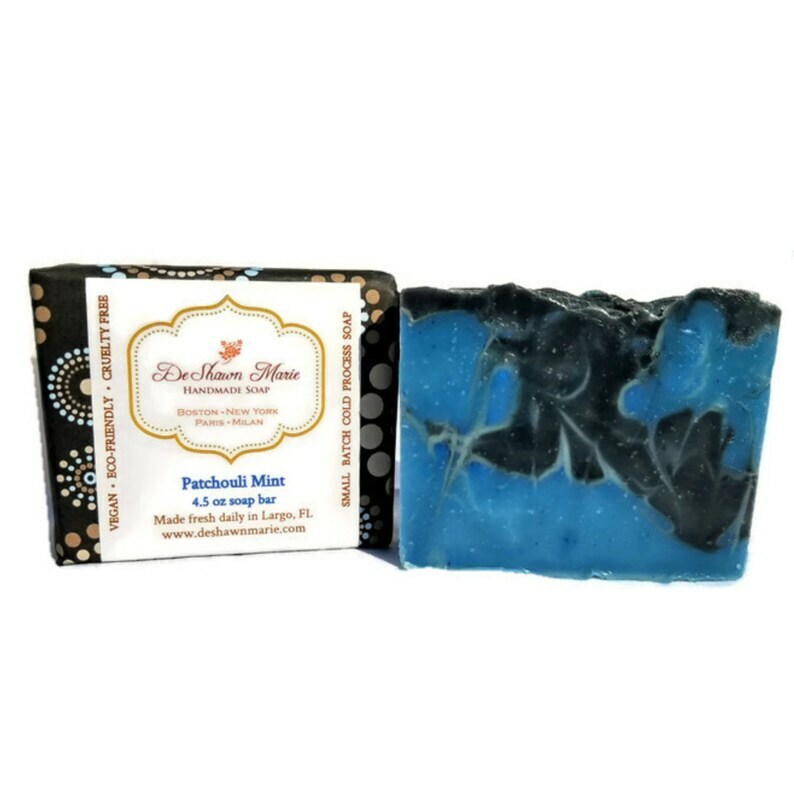 Gorgeous french blue clay and activated charcoal soap. 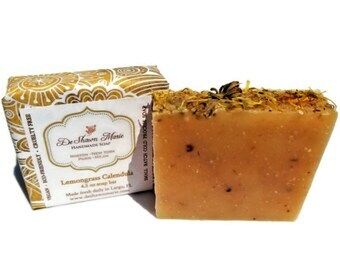 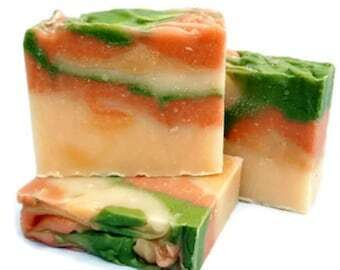 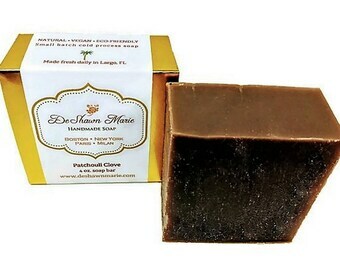 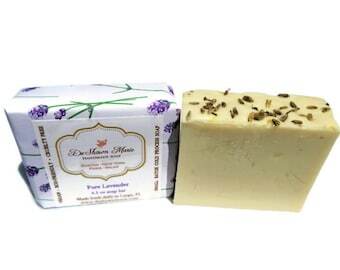 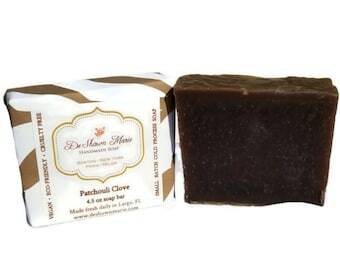 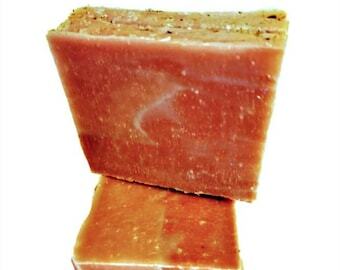 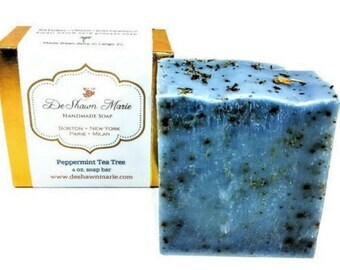 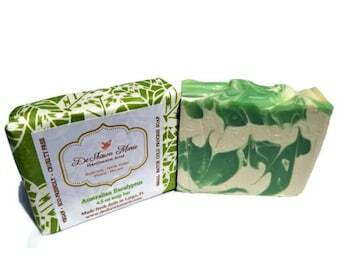 Scented with pure patchouli and peppermint essential oils. 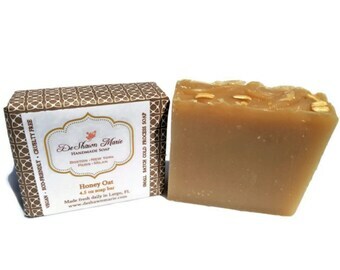 Natural, pure and luxurious with rich lather. 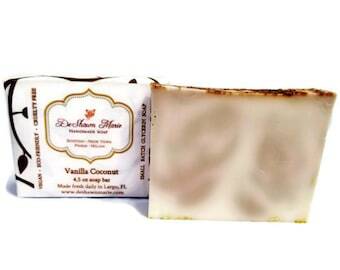 Excellent all over body or shave bar.